Family recipes, play a huge part on the holidays; here are some of the mouthwatering classics. As Italy boasts 20 different regions, all home to countless provinces and smaller cities and villages, Christmas customs differ from north to south, beginning with when to open presents and ranging to what/how dishes are served. When all of these unique traditions make their way over the Atlantic, even more variations come into play. While it’s no doubt that Christmas is a major holiday in Italy, many celebrate on different days. Some start early on December 13, the Feast Day of Saint Lucy, when Santa Lucia brings gifts for the children. Others have grand affairs on Christmas Eve and simply rest on Christmas Day. However, many wait until January 6 for the Feast of the Epiphany, more commonly known as La Befana. Though some Italian-Americans have adapted certain aspects of these Christmas customs, generally here in the US we celebrate on the 24th in preparation for a larger festivity on the 25th. 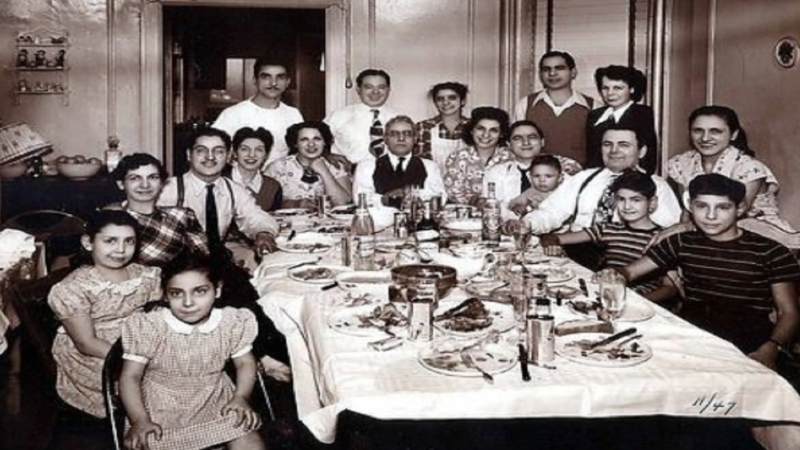 But one guarantee is that Italians and Italian-Americans alike celebrate with family and enjoy an abundance of food. 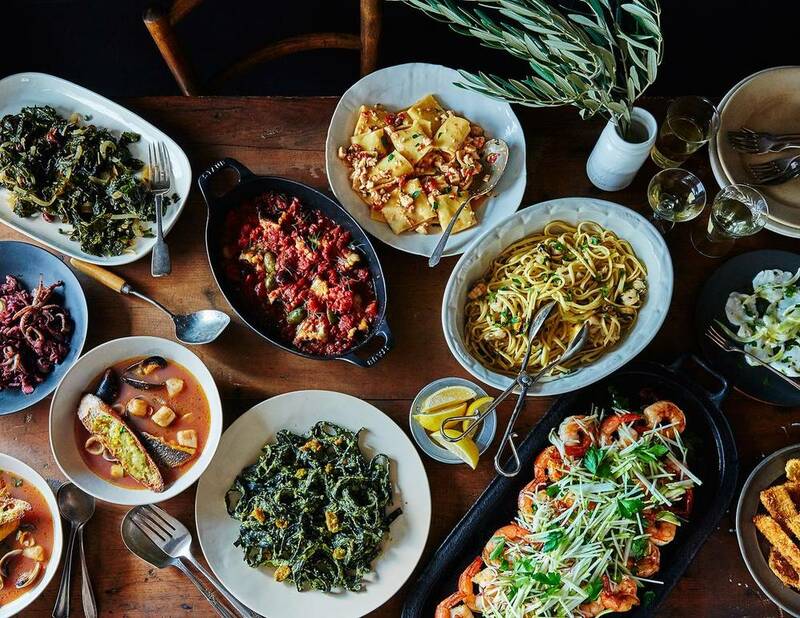 We broke down some of our favorite Christmas culinary traditions so you can enjoy your festivities the Italian-American way. 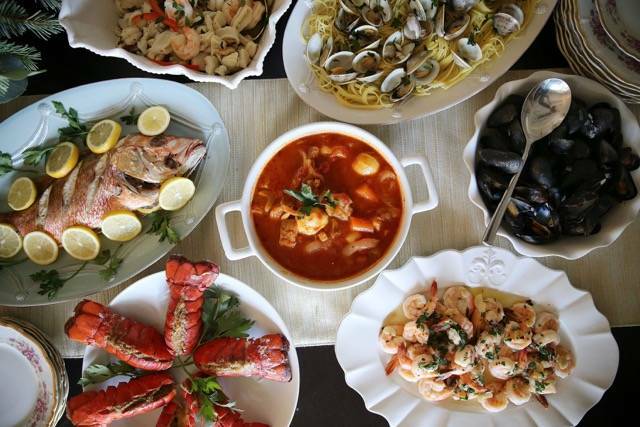 A staple in Italian-American homes is the Feast of the Seven Fishes on Christmas Eve. 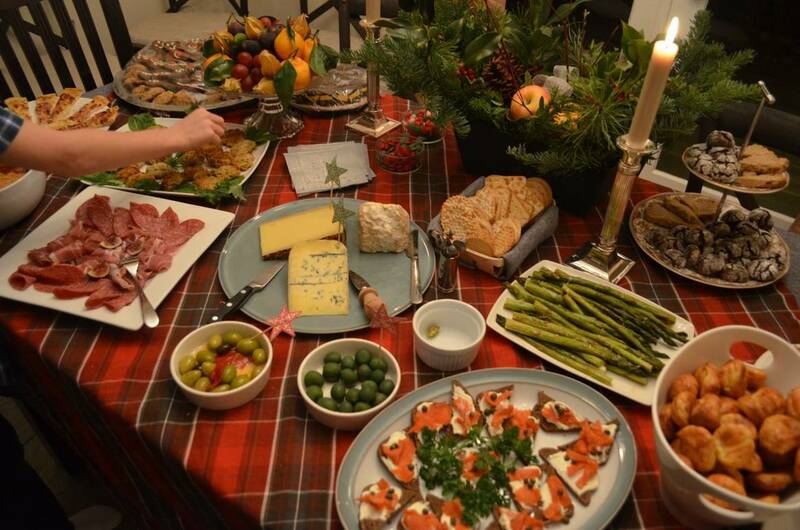 The ancient tradition stems from the Roman Catholic practice of abstaining from meat on the eve of certain holidays. The number seven is also rooted in Catholicism; there are 7 sacraments, 7 days of Creation, and 7 deadly sins. However, there are no hard-and-fast rules about what fish should be included or how they should be prepared. In fact, some families are ambitious and choose to make twelve dishes instead, in deference to the 12 apostles. Regardless of the number of dishes or fishes, as you can also choose to select one or two types and then prepare it several ways, everyone who partakes in this dinner can agree that seafood on the 24th is a must and preferably with wine. Start with baccalà, or salted cod, and whip it into a creamy spread to top crunchy bread. Then make a simple salad with greens and grilled squid. Shrimp cocktail, spaghetti alle vongole, and any hearty seafood stew are some options to follow. If you want a main course, try salmon or bass and play it up with vegetables or legumes. Then you only have one more seafood dish to go! Typically, Italian-Americans simply munch on cheese with a nice glass of wine while dinner is in the works, but on Christmas appetizers get a chance to shine. Outside the conventional hors d'oeuvres, like olives, stuffed mushrooms, and prosciutto, one of our favorites is Spinach Torta. This flavorful starter originates from the beautiful port city of Genoa and has sailed through generations. Savory, salty, flaky, and dense, it's prepared like a pie and cut into bite-sized pieces. With each mouthful, the pungent cheese, sweet spinach and onion, and creamy rice flavors melt perfectly together. We modified a recipe to suite everyone's tastes, but the best torta always starts with a good crust. To make the dough, combine flour, olive oil, baking soda, salt, and water. Wrap the mixture into a ball and set aside for a half hour. 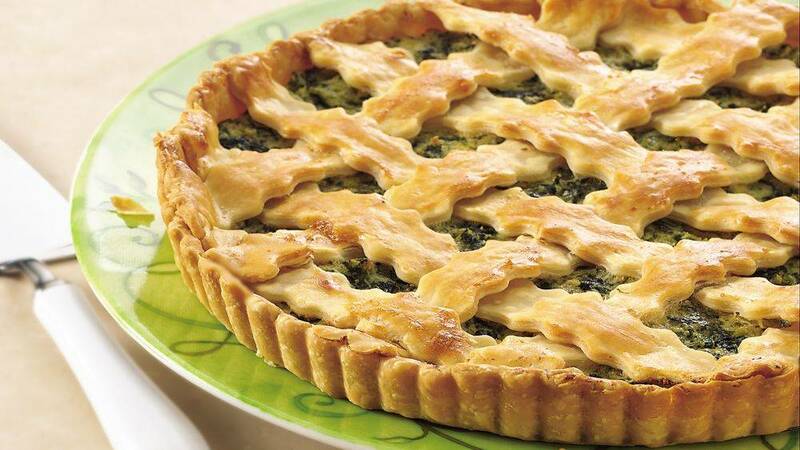 For the filling, cook spinach and sauté an onion until sweet. Then in a bowl, mix the two with rice, minced garlic, eggs, grated Parmesan, salt and pepper, and a pinch of nutmeg. Press part of the dough into a pie pan, pour in the filling, and cover the top with the remaining strips of dough. Bake in the oven for 45 minutes and wait until cool before cutting it diagonally—don't be tempted by the nostalgic aroma sure to take over the kitchen. Just as in Italy, dinners vary from house to house. Generally, it’s served as a late lunch or early dinner either in courses or all at once family-style, but most will start with a salad in any case. Naturally, there’s pasta, whether lasagna, gnocchi, or ravioli, and chicken either alla parmigiana, alla milanese, or alla marsala. Other meats make their way to the table too, like meatballs, lamb, or pork chops. 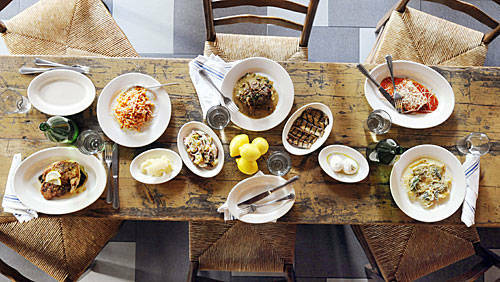 Common side dishes include artichoke hearts, broccoli rabe with sausage, and arancini (rice balls). No Italian holiday is complete without dessert. 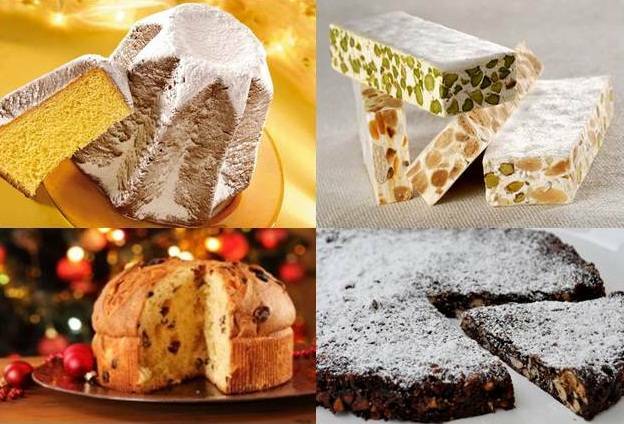 Depending on your origins, or your preference, pandoro, which hails from Verona, or panettone, first created in Milan, are a must. Both of the sweet cakes can be easily found in any Italian grocery store or bakery and pair perfectly with whipped cream, fresh fruit, and a sweet wine. And with cake comes cookies. 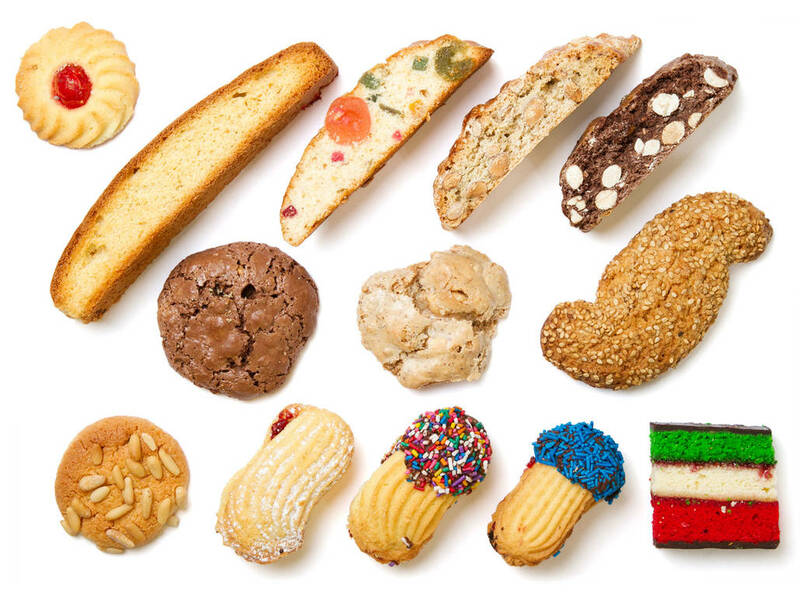 Of course, most Italian Americans have rainbow cookies, pignoli cookies, and cantucci, or biscotti. But you may also find Milanese hazelnut almond meringues, known as brutti ma buoni, which translates to ugly but good, and pizzelle, thin and crisp waffle cookies from Abruzzo. Two last essential sweets to have on deck are struffoli, a Neapolitan dish made of deep fried balls of dough coated in honey, and cannolis, a Sicilian pastry filled with a creamy filling, usually ricotta.